In times of suffering and heartache, there’s a certain beauty in discovering how to pick up the puzzle pieces of yourself that you thought were too fragmented to glue back together. For Brian Holl, a man who had achieved notable success as a member of the electronic folk-duo Foreign Fields, even seeming like you had a firm grasp on everything you ever daydreamed about left a certain distaste in his mouth. After experiencing a panic attack at SXSW in 2015, the lightbulb inside his head flickered as he decided to demolish everything he had grappled for and reinvent his musical persona using the soupçon of himself that was left behind. It’s an absurd and almost unimaginable feat to most, yet Brian’s transformation into Boy Bjorn has been nothing short of inspiring, allowing him to unveil the impassioned soul he had kept so closed off from the world previously. Born in Wisconsin, Brian Holl’s journey to the artist he is now was something of a stroke of luck. As a member of Foreign Fields alongside Eric Hillman, their accidental success and unexpected critical acclaim after online bloggers became enchanted by their immersive, almost cinematic sound saw them tour the world with the likes of Counting Crows, Laura Marling and Basia Bulat. Speaking of his time in the band, Brian says: “Eric and I started making music together when we were 15. Him shuffling me from my house to band practice and back because I didn't have a license yet. As it most often happens with kids, you get into it because of the energy. You pick up a skateboard because you've never felt the rush of ollieing off a picnic table before. One thing leads to the next and suddenly you've developed this whole language and identity.” After cultivating his own personal flair and deciding to drive a dagger into the unknown by unleashing his deepest thoughts and secrets into his songs, he birthed the solo act that would see him become one of the most intriguing and unique alternative artists today. Poignant and analytical, Boy Bjorn has mastered the art of tiptoeing upon the aspects of life in his music that we often allow to slip past ourselves. Delicately touching upon the experiences throughout his childhood and adolescence that moulded him into the man he is now, his upcoming debut album ‘Mistaken Animals’ is birthed from the struggles of existential crises, school crushes and finding your feet in a world that seems determined to tie your shoelaces together. There’s a sense of isolation in the opening track which bears the same title as the record; echoes with no response, an airy medium that is smothered in the encapsulation of your own thoughts and feeling as though nobody will listen. 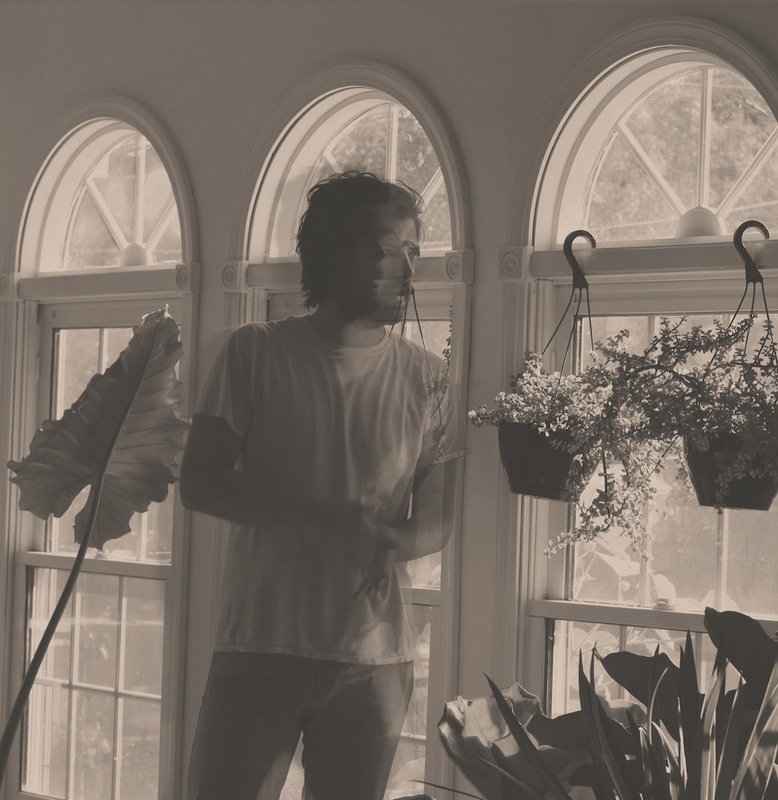 ‘Lungs’ is a far breezier and anecdotal offering, using layered vocals against a stripped back melody to amplify his voice and allowing us a peek into his inner workings, whilst ‘Now I’m Running’ depicts a far more uplifting period, symphonic and ethereal in its rhythm, as though we can audibly feel him dusting himself back off and braving the day again. His ability to oscillate between synth drenched, flustered drum beats and somber, brooding lyricism is almost like a soundtrack to the struggles of not understanding yourself and listening to your own mind experience inten frustration, bewilderment and pain. Speaking upon the inspirations behind the album, Boy Bjorn keeps it relatively simple: “my life up to this point. Experiencing wisdom for the first time. Being on the verge of 30 and feeling like there's a little "more" there that I've discovered. This album is really "ground zero". Having gently touched upon his trials and tribulations in Foreign Field’s last album ‘Take Cover’ in 2016, the two years that have glided by since have been like holding a candle to all the little hidden crevices of himself that he’d shut himself away from prior. Boy Bjorn’s humble approach to life as a musician is one that is incredibly refreshing; spending sixteen months in his homegrown bedroom studio writing, recording, producing and even painting the art for the LP whilst his wife took the press shots has resulted in a beautiful work that almost feels like he is passing you his secret diary. “Being a frontman doesn’t come naturally for me,” he ponders, “but sitting alone in my office/home studio working on design or music really does. I can lose myself, in a good way, back here”. ‘Mistaken Animals’ is the man that is Brian Holl, wholeheartedly.